The Government will spend $2 million over the next three years to begin making the sub-Antarctic Auckland Island pest free. Conservation Minister Eugenie Sage told Forest and Bird's 2018 Conference the money would be spent on planning, including field trials. She said ridding the 46,000 hectare island of predators was an ambitious project. 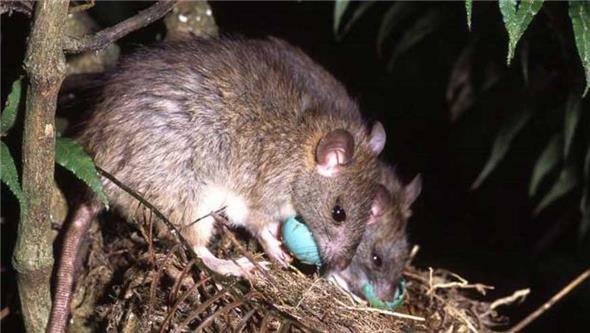 Pests in line for eradication were pigs, cats and mice. Sage claimed that early estimates suggested the potential cost of eradication could be between $40 M and $50 M over eight to 10 years. Auckland Island is the main island of the sub-Antarctic Auckland Islands, and is the largest and biologically richest archipelago of the five island groups that make up New Zealand's sub-Antarctic islands. Radio New Zealand said yesterday that the $2 M feasibility funding comes from the Budget 2018 pest control four-year appropriation of $81.3 M aimed towards achieving a predator free New Zealand by 2050. The pest eradication programme comes after the Australian Government spent millions on eradicating pests on Macquarie Island, well to the south west of Auckland Island, where early whalers and Antarctic venturers had inadvertently or deliberately dumped cats, mice and even rabbits. Only now are bird colonies and natural vegetation returned to Macquarie Island. Rats destroying bird life. Photo: Fairfax Media.